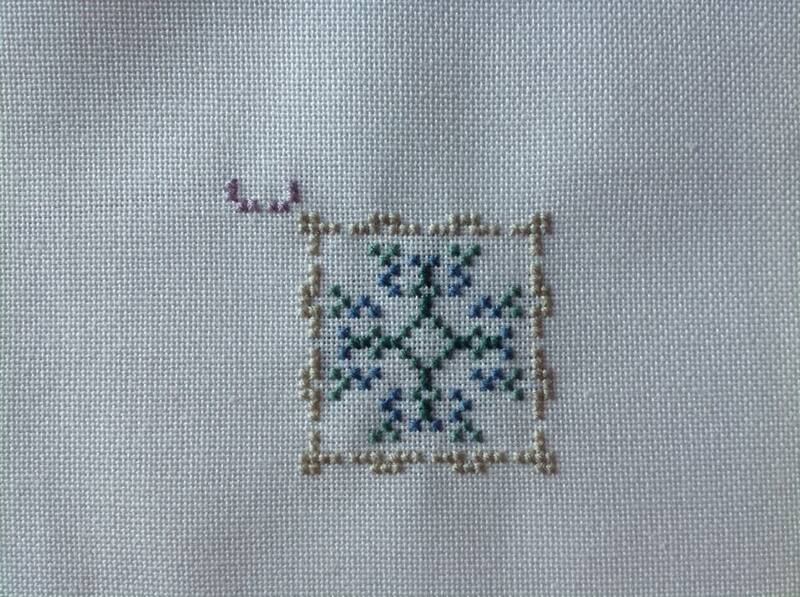 I made a few changes to this one as it was charted for green fabric. The main Celtic Knotwork was an olive colour so I changed it to 3041/3042. I used the charted beads but reversed the colours for the ones in the centre of each side compared to the ones in the middle of the flowers. I have completed all the ones on the left hand side and I am now starting the ten on the right hand side. So I started looking at what I have left in my Just Nan stash. 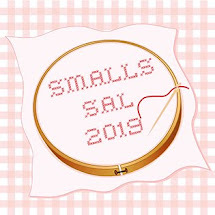 There are enough smalls to do Stitch Maynia this year! So that is the plan. 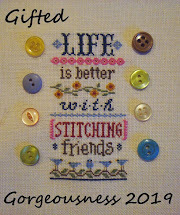 For the whole of May I will start one of the smalls each day and do a minimum of 30 stitches. I am averaging one finish per 3 weeks so it will give me enough smalls to do the 30-a-Day for the next 3 years! 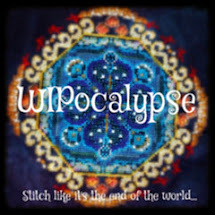 Finally, I will be hosting an Easter Blog Hop with a Treasure Hunt for the Mystery Phrase. Provide your own eggs! If you would like to take part this year, just leave a comment here. The week before Easter I will send you a letter of the alphabet which will form part of the mystery phrase. 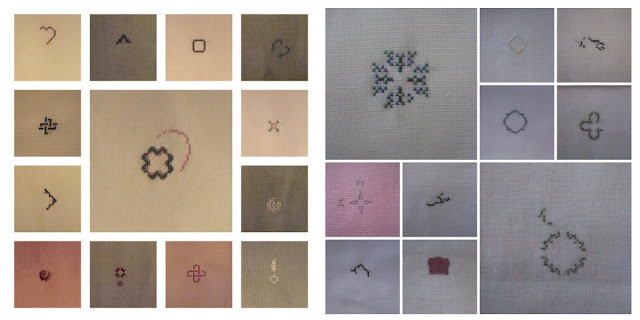 On Good Friday you will post that letter along with a photo of something seasonal that you have stitched (could be Easter or Spring or just something cheerful and sunny or floral). We all hop around like little bunnies to find the Mystery Phrase! The Easter Hop is the second peak of our Five Hops Challenge. Everyone who joins in with all five hops this year (either as a participant or as a commenter) will be entered into the Five Hops draw at the end of the year. Very nice finishes. I know I have them in my stash. Maybe I'll join you in a Nan-a-thon in one of the next 3 years. Painted Lady is so pretty! It will be fun to see the Just Nan 12 Days of Christmas grow! I stitched Noah's Rainbow 20+ years ago. Been hanging in our powder room forever. Funny to see it being done again. Great stitches, as always, Jo. Of course I will participate to the Easter Blog Hop with a Treasure Hunt for the Mystery Phrase. I am sure it will be so funny!!!!!! Enough smalls to do the 30-a-Day for the next 3 years!! wOw!! Such lovely finishes and I love the addition of charms to projects. You are such an inspiration as you always have so much to show. 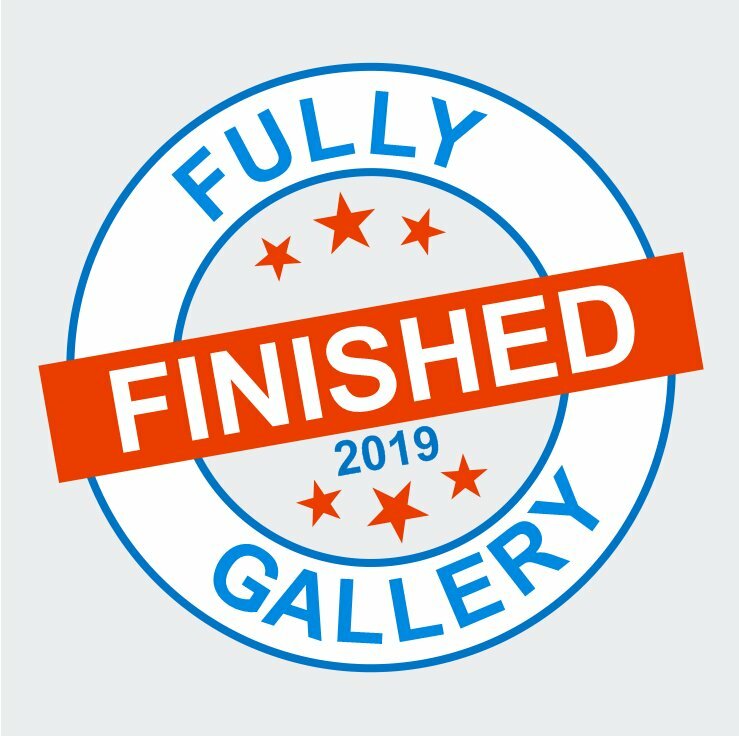 You always have such beautiful finishes. Your Nan-a-thon is going so well! Great that you got your charm in and that you used a stash charm for the other. I'm liking Potpourri already, maybe because it's a fun word! I am still unsure about the Easter Hop... I want to do it, but I'm not sure I can finish something up in time this year, bah. Painted Lady is lovely. I like your purple version. 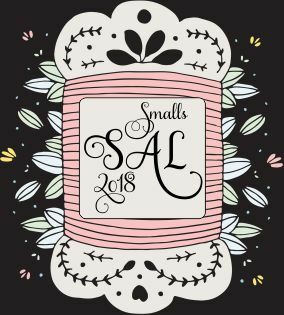 Love all your smalls. I would just have a ton of starts and no finishes if I tried to do all of those. Or they would get lost in my basement! This Nan-a-thon is one gorgeous idea. So lovely, your Painted Lady finish. And three years full of 30-a-day projects is just an extra challenge, lol. Lovely smalls! You are so organised that you can plan for next three years. Good luck with Nan-a-thon:) You are already progressing well there. Very nice! I love Just Nan and so really look forward to your progress on all of these! My goodness, you must have ALL her smalls designs!! They are just charming! I love your Painted Lady, all your stitching is lovely. Nan-A-Thon what a fun idea. 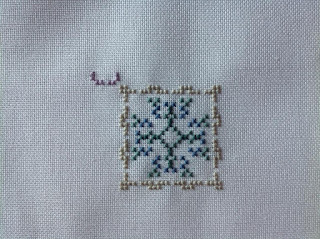 Beautiful Nan-A-Thon stitching. Love them all. So delicate and pretty. Keep it up. Lovely small finishes. Those charms are just too cute! I think I've already signed up for the Easter blog hop, haven't I? Great stitching. Love them all!